Africana Studies and Falvey Memorial Library invite you to celebrate Women’s History Month with a lecture by Tracey Hucks, PhD, associate professor of Religious Studies at Haverford College. Dr. Hucks will speak on her new forthcoming book, Poaching the African God: Yoruba Traditions and African-American Religious Nationalism, on Thursday, Mar. 15, at 4:30 p.m. in Speakers’ Corner. Dr. Hucks will discuss women and religion in the African Diaspora. 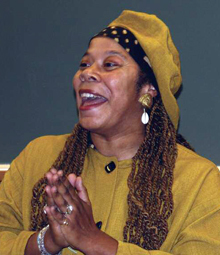 She has previously published an article on the topic, entitled “’I smoothed the way, I opened doors’: Women in the Yoruba-Orisha Tradition of Trinidad,” in Women and Religion in the African Diaspora: Knowledge, Power, and Performance (Johns Hopkins, 2006). Choice Reviews excerpt: “In this valuable book, Kraemer (Brown Univ.) analyzes women’s history and gender construction and scholarly redescriptions (including her own) of both. She offers cogent commentary on the data of antiquity and the critical lenses through which they have been, and might be, examined. 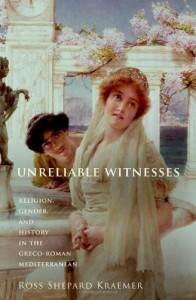 Part detailed textual study, part disputes with fellow academics, and part discussion of gender, literary, and anthropological theory, Kraemer’s interrogation of accounts of women’s religious activity ranges among Jewish, Christian, and pagan sources from the first century to the fifth. The breadth of coverage is masterful and includes Livy’s Bacchantes, Philo’s Therapeutae/Therapeutrides, Justin Martyr’s intermarried Christian wife, the Acts of Thecla, Severus’s description of the conversion to Christianity of Minorcan Jews, and inscriptions attesting to women synagogue “leaders” and gentile women affiliated with Jewish practice and/or Jewish communities.” Copyright American Library Association, used with permission. Choice Reviews excerpt: “Des Jardins (Baruch College, CUNY) examines the work experiences of more than a dozen American women scientists and engineers in the 20th century. Her launching point is Marie Curie’s tours of the US in the 1920s, which she argues enshrined the notion that women had to both outperform men in the lab and appear as perfect women in the home to gain recognition. Though she writes mainly about outstanding individuals, many of whom won Nobel prizes, she advocates for looking beyond these women’s heroic attributes to understand them as fully rounded human beings.” Copyright American Library Association, used with permission. 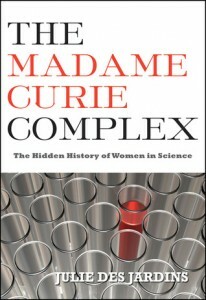 Kirkus Reviews excerpt: “Since the early 1900s, Marie Curie (1867-1934), a two-time winner of the Nobel Prize, has been an inspiration for women who aspire to become scientists. Des Jardins deconstructs the myth of a woman who was apparently ‘achieving it all: marriage, family, and career,’ and setting the standard: ‘To succeed in men’s fields, women couldn’t be themselves; they had to perform better than men.’ The author examines the lives of Maria Goeppert Mayer (1906-1972), winner of the Nobel for discovering the shell structure of the nucleus, and Rosalind Franklin (1920-1958), whose seminal work on the structure of DNA anticipated Crick and Watson’s ‘discovery’ of the double helix but was largely overlooked.” Copyright Kirkus Reviews, used with permission. Booklist Review excerpt: “Showalter follows her invigorating literary history A Jury of Her Peers: Celebrating American Women Writers from Anne Bradstreet to Annie Proulx (2009) with an equally substantial and exciting anthology encompassing 350 years and 79 writers of diverse backgrounds, locations, and literary styles, each introduced with brief, vivid biographical sketches. As Showalter observes, women’s writing has been closely allied with the quest for not only women’s rights but also universal human rights and justice, as well as literary exploration and excellence. 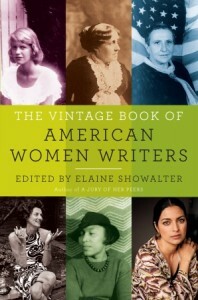 Showalter’s chronological survey of the literary mothers of us all takes measure of the great reach and splendid variety of women’s writing and how it has illuminated America’s continuing transformation and shaped American literature.” Copyright American Library Association. Used with permission. Do you have any suggestions for Women’s History Month reading? Any other resources we should add to the collection? Please let us know in the comments!